UNU-EHS recently welcomed a delegation of students and professors from Mali’s University of Bamako. 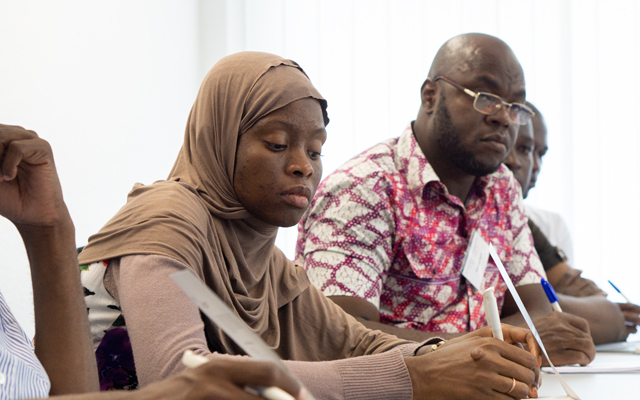 They were taking part in the Institute for Technology and Resources Management in the Tropics and Subtropics (ITT) summer school on renewable energy systems in Cologne, Germany. 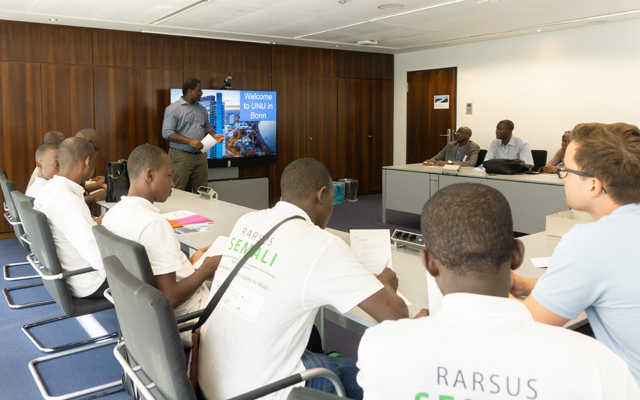 The summer school was organized as part of of the RARSUS-SEMALI project where UNU-EHS and the Center for Development Research (ZEF) are project partners. RARSUS-SEMALI aims to establish a long-standing research-based higher education cooperation between Germany and African partners, such as the Institute of Water and Energy Sciences (PAUWES) at Pan African University in Tlemcen, Algeria and Abdou Moumouni University of Niamey, Niger. The collaboration links partners, scholars and students to share experiences in teaching and research, and generates mutual benefits towards sustainability. The project focuses on sustainable resource supply management in urban and semi-urban regions of Mali. UNU-EHS develops e-learning courses and is involved in conducting summer schools and offering master’s thesis scholarships to promising students in Mali.